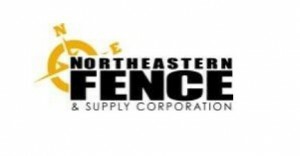 Northeastern Fence is a family owned business selling fencing products for over 60 years to both homeowners and fence contractors. Our sales team has been in the fencing industry for over 75 years. With their extensive knowledge, our team can answer and fulfill your fencing and outdoor product needs. Also, when you purchase from us, you can be assured that you will receive a high quality product. Your satisfaction is 100% guaranteed. There’s no better way to enhance your property’s appearance, as well as increase privacy and security than with an attractive fence from Northeastern Fence!